The project at La Parrilla Mine consisted of restarting extractions and a new processing plant of the open-pit WO3 and Sn, for IBERIAN RESOURCES, a subsidiary of W-RESOURCES Plc. 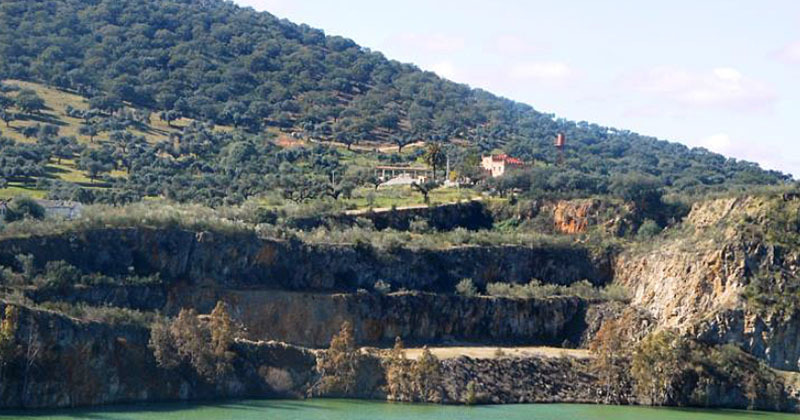 The old La Parrilla tungsten mine, situated in the meadowlands of Extremadura in the Parque de Cornalvo, was active during a significant part of the 20th century. It reached 140 employees and placed Extremadura as a leading mineral producer worldwide during the Second World War. The later fall in price of tungsten lead to the closing of the mine. Iberian Resources Spain S.L. entrusted AYMA with the planning and design of the reopening of the mine, with a production forecast of 5.000 tons of tungsten and 400 tons of tin starting from 2018. The project is now in a 10-year financing phase. Integration as a consultant into an established team to develop the mining engineering of the project in order to achieve publication of reserves on the stock exchange, as well as funding for the anticipated initial investment. Conceptual developments and basic engineering of the main infrastructures of the project–reservoirs, landfills, and waste dumps– in order to reduce the processing time with corresponding authorities through transforming old liabilities in the new facilities. Generate mine design and planning to support the publication of reserves of 11 years under the JORC code (including draft and signature in Section 4). Optimize an alternative to 6 years that would increase the initial cash flow to achieve the necessary funding for reopening. Due Diligence successfully completed with the approval of an investment fund from the U.S. for 30 M dollars.